The official gave some details at a press conference. They will also be distributed at pharmacies in Santa Fe and Rosario. Expected by the health minister Andrea Uboldi Influenza vaccine: from Monday they will be available for risk groups. The officer gave some details at a press conference. They will also be distributed at pharmacies in Santa Fe and Rosario. The official gave some details at a press conference. They will also be distributed at pharmacies in Santa Fe and Rosario. As of Monday 22, influenza shots will be available for risk groups in hospitals and health centers in the province of Santa Fe. This was led by Andrea Uboldi, Minister of Health. At a press conference, the official said that this week will be vaccinating health professionals and "from Monday 22 we believe they will be distributed in all effectors." 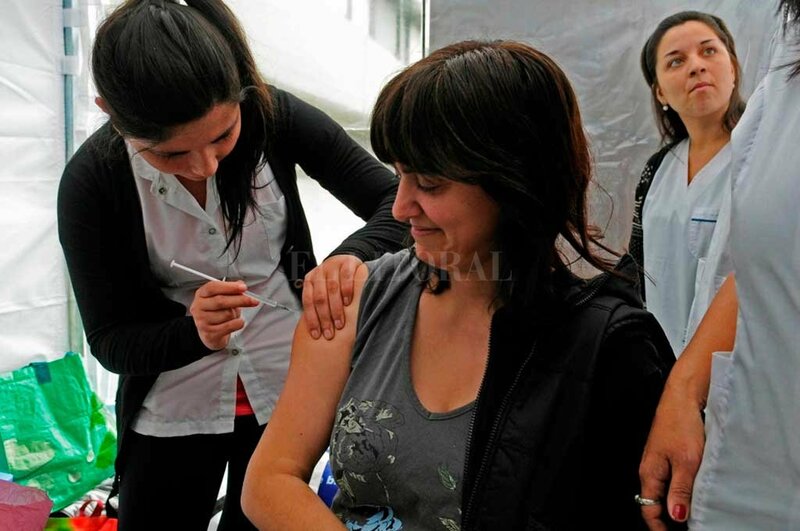 At the same time, Uboldi explained that they are working "in conjunction with the pharmaceutical schools Santa Fe and Rosario because they will also receive vaccines so that those affiliated with Pami can be vaccinated at pharmacies." "With this first delivery, we reach 40 percent of what we need for a vaccination target of nearly 400 thousand people. We will receive more doses every week," added the health minister. In another part of the contact with the press, Uboldi was concerned about the lack of any vaccines, such as rotavirus, Menveo, Vph (human papilloma).